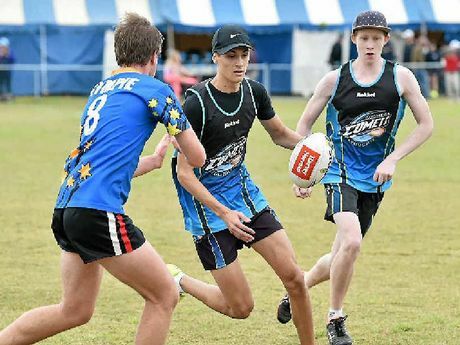 TOUCH FOOTBALL: For a small touch football centre Gympie certainly packs a punch on and off the field. 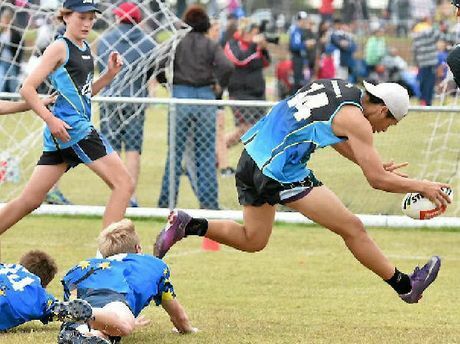 More than 100 Gympie athletes travelled to Hervey Bay on the weekend for the Queensland Touch Junior State Cup. Gympie came back with the Overall Small Affiliate Award while the under-18 men's side lost the Division 2 final against Noosa in a drop-off 6-5. For a team with just nine players it was an awesome effort, according to coach Pat Horgan. "They played very well but just ran out of legs in the final," Horgan said. Gympie had an outstanding lead-up to the final. They drew with Brisbane after being 5-1 down at half-time and beat the much larger centres of the Gold Coast, Toowoomba and Ipswich. "We were very short on numbers for most of the weekend," Horgan said. That slowed the boys' momentum in the final where they lost in a drop-off. "The boys were running on empty towards the end." Horgan said his two co-captains, Joshua Ellems and Owen Dugdale, stood out on the field. "They played a lot of game time," he said. The under-18 result was Gympie's best but the club performed well in all age groups. "We had a team in every age group except the under-18 girls," Horgan said. 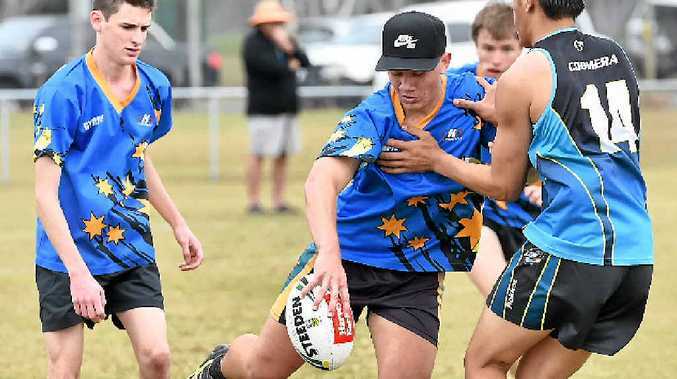 Gympie Touch administrator Kym Waugh backed up Horgan's sentiments and thanked all the coaches, managers, referees and parents that helped make the Junior State Cup a success. 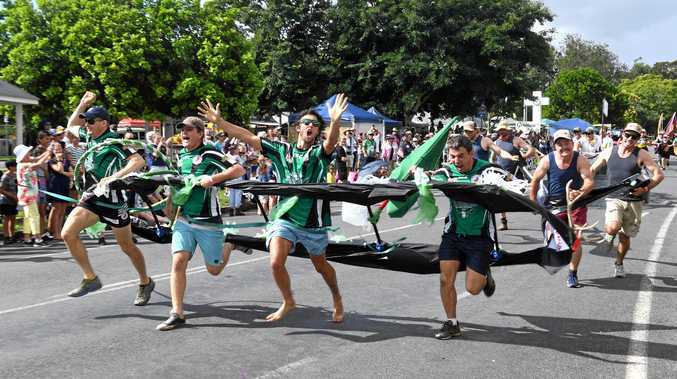 "Without all of your help our kids would not be able to go to such a great carnival, Waugh said. "So thank you so much for all your help, it is greatly appreciated. "To all the players, you all played fantastic. "I hope you all had a great time and will continue to play touch. "Hope to see you all at our next carnival." SPEED: Trent Tutauha from Coomera dives in to score in the match against Gympie. Queensland Touch has announced the dates for the 2016 Queensland Junior State Cup. The 21st edition of the tournament will be held on July 7-9, 2016. After extensive consultation with the Fraser Coast Council, QTF Affiliates and participants attending this year's event, QTF has decided to commence the tournament one day earlier. The tournament will now start on Thursday with finals concluding on Saturday afternoon. QTF CEO Jamie O'Connor said he was excited by the opportunities the new schedule offered to the event and the benefits it would have for its participants. "First and foremost, the change takes pressure off families travelling home ahead of returning to school and work," Mr O'Connor said. He said the change also put more emphasis on the finals of the Queensland Touch Junior State Cup. TOUCH: Gympie players chase down Coomera’s Dylan Tadic in a match at Hervey Bay.